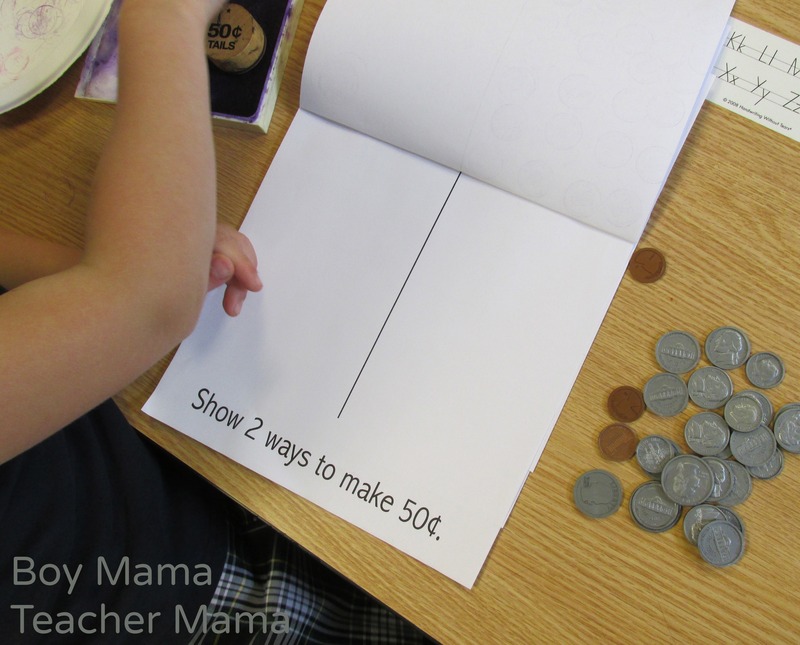 Have you ever used a “waterfall book” in your classroom or homeschool? I love the way these books look when they are put together and they are super fun to use. 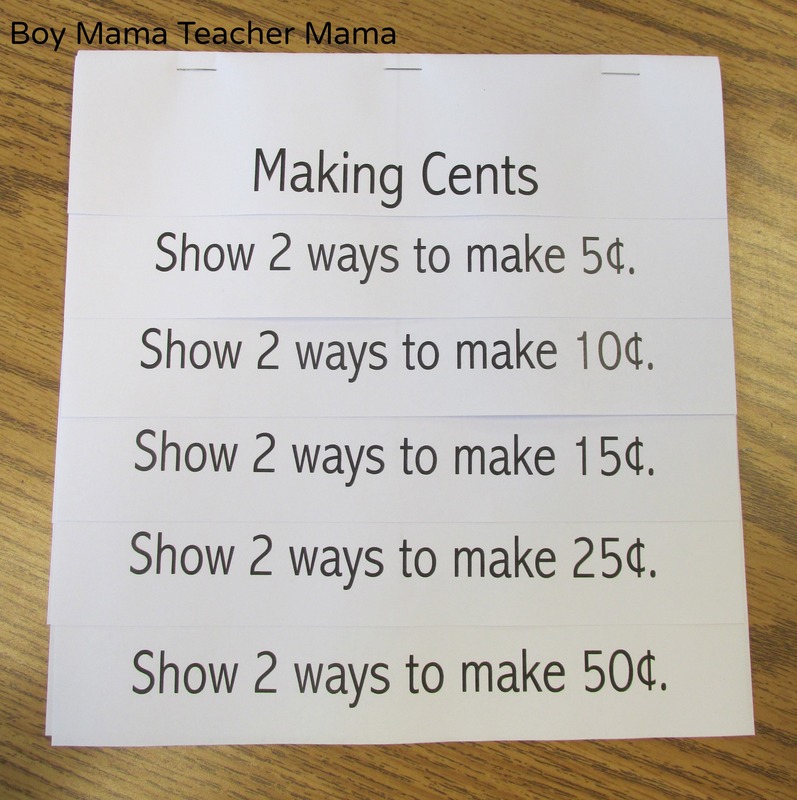 I created this waterfall book for my students to work on coin combinations. Then I stapled the top and the book was ready for my students. 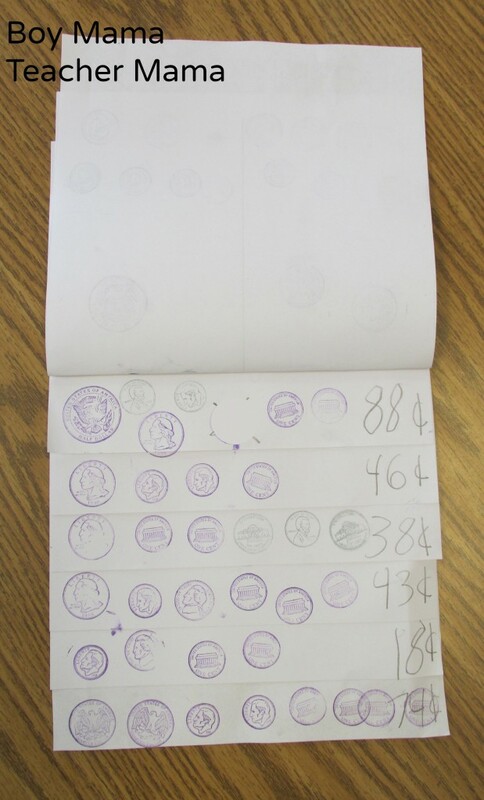 To complete this activity we used coin stamps. 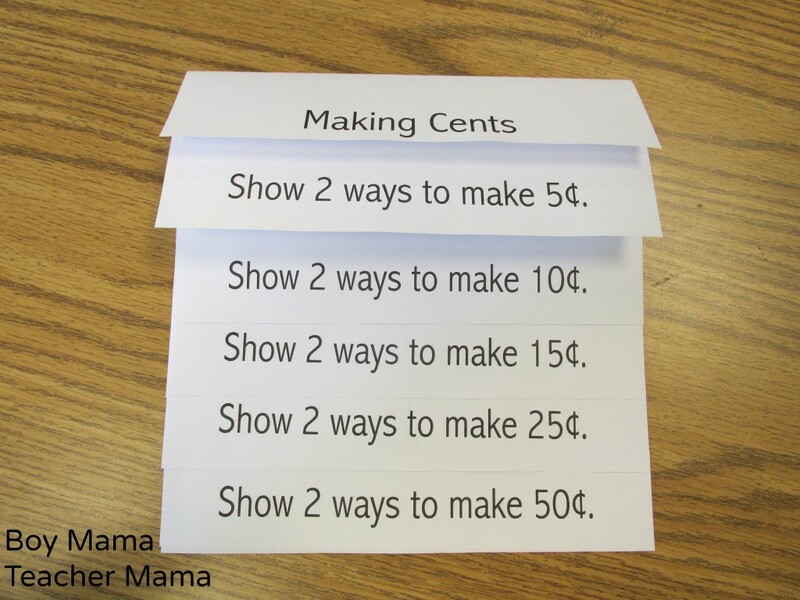 If you don’t have stamps you can use coin stickers or simply have students draw circles with the coin value or the letter that begins the coin’s name. 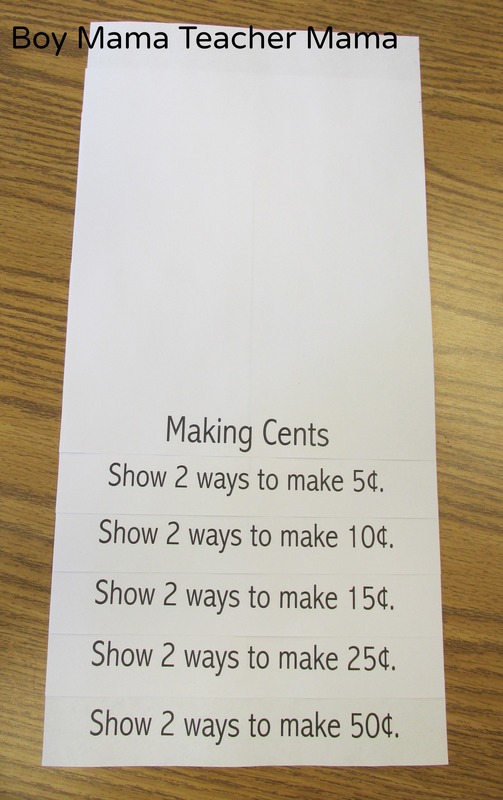 Tell students they are going to create two different coin combinations for each value written on each page of the book. Have students flip to the page and use the stamps to create the amount on the written. 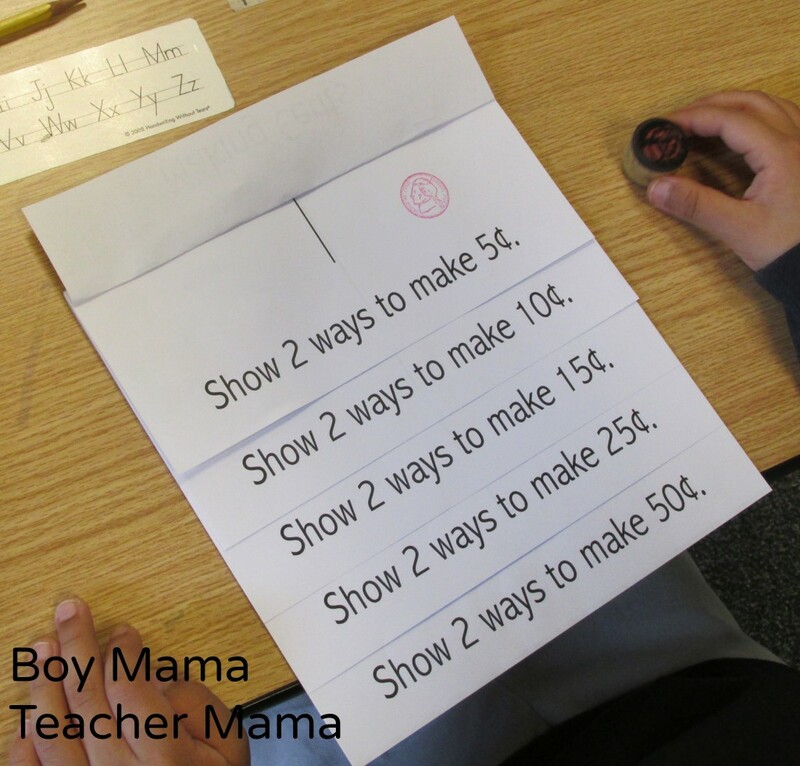 Students work through the book until they have completed all the pages. 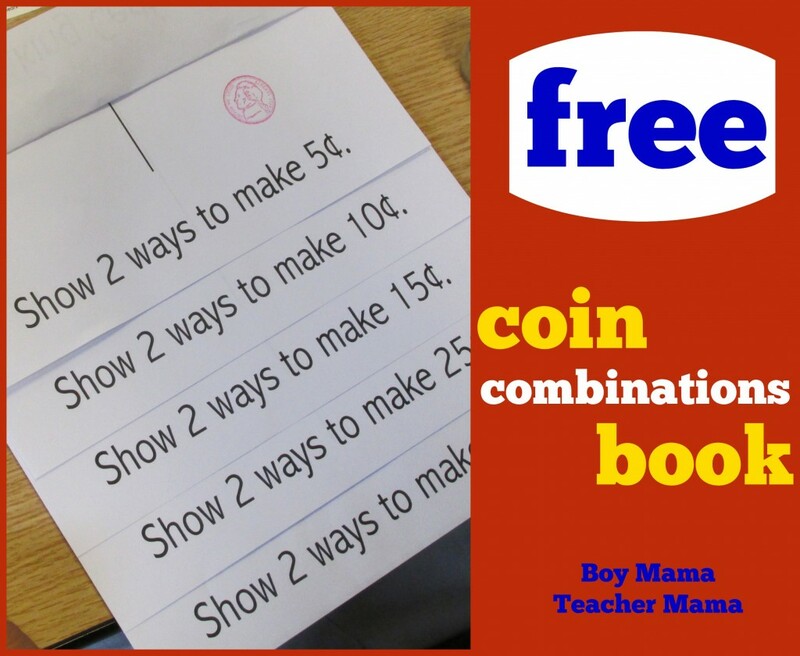 For students who are struggling, have them create the coin combinations with real coins first and then copy their combination to the page. 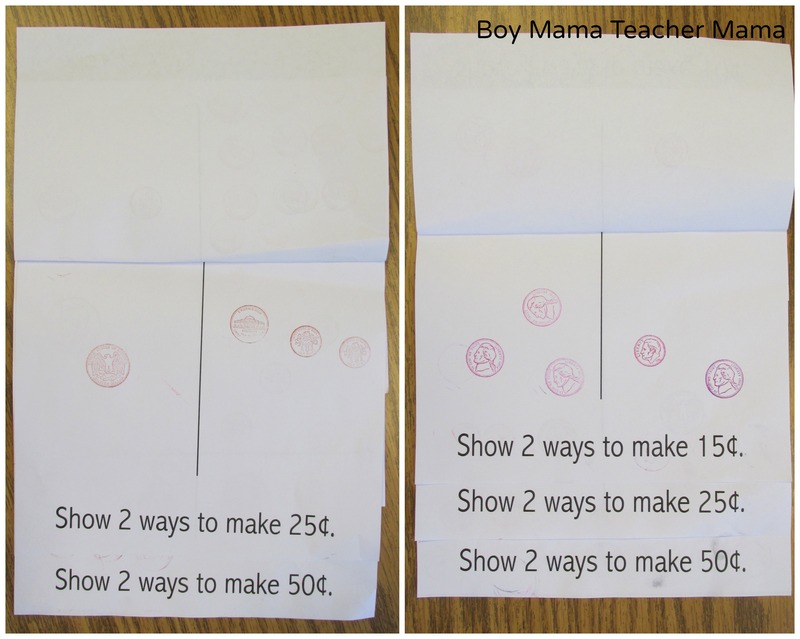 When students complete the pages they can open up their book to find 6 more pages where they can write their own amount and create the combinations using the coin stamps. 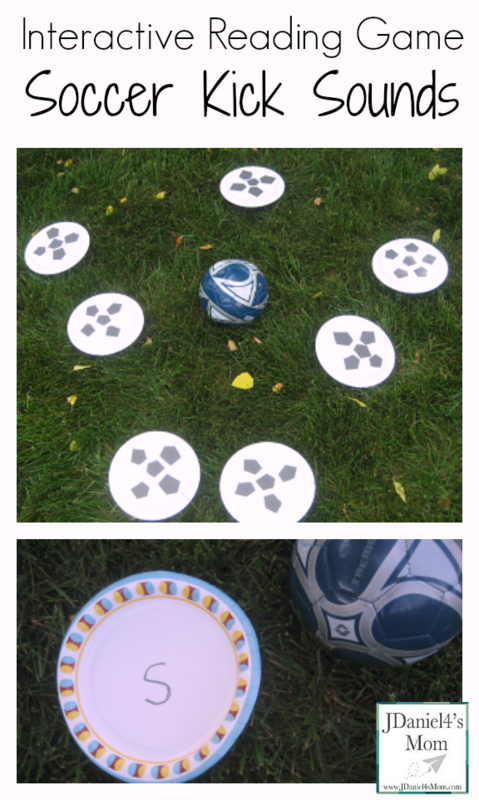 Not only did the students enjoy this activity, but it was a wonderful assessment tool. 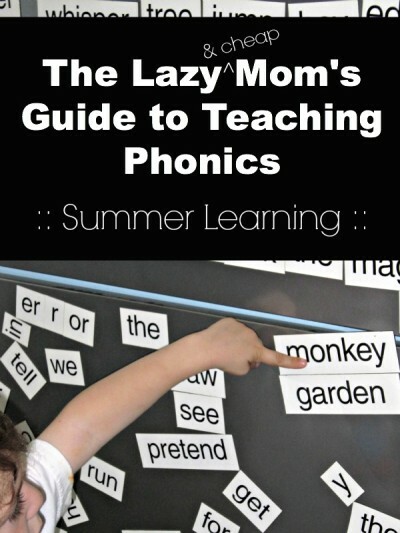 If you would like to use this book in your classroom or home, click below to download. The After School Link Up is a great place to share ideas and to find new ideas to do with your children after school or in your homeschool. The After School Link Up goes live every Monday. 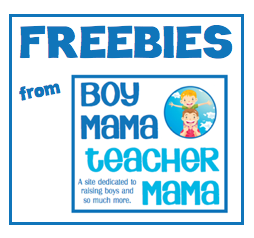 So, if you are a blogger, an educator or just some one looking for some good ideas, be sure to stop by Boy Mama Teacher Mama (or the other co-hosts) on Mondays and see what others have to share.